Whew! So, that was an exam week. I’m completely brain dead now, after having done nothing but study, study and study some more for a week straight. Seriously, I didn’t even have time to read. But… it’s over for now, so I can sit back and relax (hahahahaha who am I kidding, I’ve got way too much to do). And READ. I’m very excited to be able to read again. So yeah, I’m afraid I don’t really have anything interesting to say because nothing has happened. Or rather, nothing has had time to happen. Oh, and thank you to everyone who wished me well on my exams! Most went pretty okay, though I think I messed up a couple. But we’ll see about that later 😛 I hope everyone had a fabulous week! So this one caught my eye today from the cover, it’s pretty interesting and unique to say the least. It comes out May 26th and I’d really like to try it. What really has me interested in this story is how there’s going to be actual comics interwoven throughout it. I’d really like to see how that would be and I think it could be really well done. I also love when stories include little fun things like comics in the story, it makes it even more of an interactive experience in my eyes. [15 Nov] Which Book Was This First Sentence From? None of the Above: Now talk about a diverse read. This sounds amazing! Finding Paris: Very curious about this one! It sounds like it has the potential for a journey of self-discovery and general awesomeness. 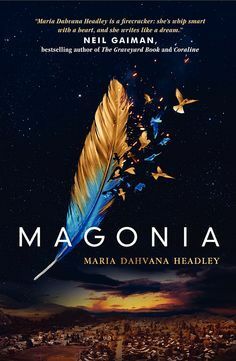 Magonia: Anything about multiple worlds = I am interested. And that was my week! How was yours? Any exciting books you’ve recently added to your TBR? Glad you have you back, ladies! CONGRATS ON FINISHING YOUR EXAMS CELINE. Now we stew and wait for results but you’ll be amazing! x Magonia sounds AMAZING. I can’t wait for that one! The new album is fantastic, isn’t it, Larissa? The thing is, my work plays it on repeat all day (because I think our stereo thing is broken LOL) and I get so pissed off by the end of the night. And then because I’m brainwashed, I go home and I’m compelled to keep listening. So I hate is but I love it because it’s a work of art. The album is super stellar, honestly my favorite from Miss Swift so far (: Lol! I totally feel your pain though. With my part time job it’s already constant Christmas carols and that definitely drives me up the wall. Celine: Congrats for getting through exam week! WOOT. Celebration time? Larissa: I hope you enjoy the concert and yaaay for maybe getting time to read soon. 😉 Miss chatting with you too! Cait @ Notebook Sisters recently posted…STOP Apologising! Ahhh I really want to go to Paris too <33 Oooo, tu es parles francais? (; Haha I know a bunch of French considering I live in a bilingual country. I Am Princess X looks good! I like books that have extras like comics and the like. I wish I could go to a Taylor Swift concert! I hope you have a blast! Congrats on finishing your exams Celine! Mine are in January and i’m already stressing so much! 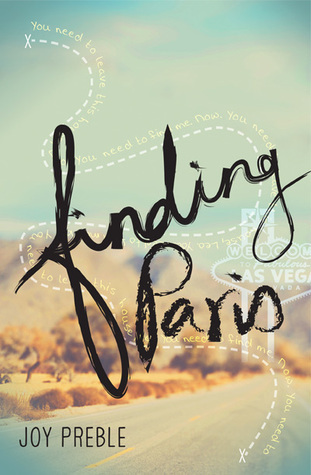 Magnolia looks so good and so does Finding Paris! I can’t wait to hear what you guys think! Thanks! This was only the first of four weeks though, haha. I also have ones in February, May and June. Good luck on your exams in January! Magonia and Finding Paris sound awesome! 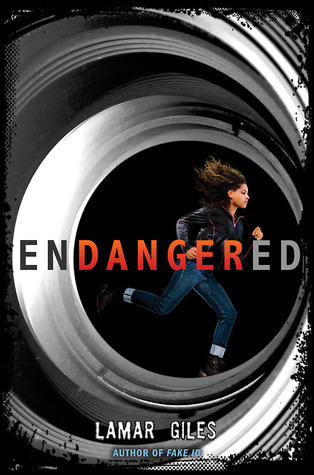 Nereyda @Mostly YA Book Obsessed recently posted…The Gif & Bookshelf Tags! I’m glad that your exams are finally dusted and out of the way Celine, there’s nothing better than being able to read all the books after a stressful period, I hope you’re able to curl up with something relaxing soon. Larissa my cousin’s have been sending me photos of all the snow they currently have in Canada and laughing at my high expectations of some sort of snowfall here 🙁 I hope you both have a wonderful week! Larissa: I’VE MISSED YOU! <3 I hope that you find a way to refurbish your passion for blogging and that you get back in the zone! Thank you Zoe!! I wish I could, but unfortunately another huge assignment is due this week 😛 (It’s kind of like writing a thesis but a little less long) However, I am going to do nothing at all during Christmas break. Mwahaha. Definitely curious about those two! Especially None of the Above seems to be incredibly unique. I hate snow too! It looks like a blizzard out there right now. I wish there was a heated pool somewhere around here! Enjoy your Concert! I am Princess X sounds unique. I’ll have to remember that one. Magonia sounds good to me too! Snow is the worst! It’s actually pretty nice today though. I wish I had a heated pool omg <33 Thanks girl. WOAH Celine those books you’ve added on your shelves have some really amazing covers, especially Magonia! Can’t wait to hear what you think of them! Good luck with your exams and I hope you’ll do well, fingers crossed for you! Reading can be your reward hehe. Larissa, it’s so different hearing of a polar opposite weather to us at the moment. We’ve been getting like 30-40 degree heat where you can’t live without aircon, so it sounds like the snowing is so different! Stay warm hun!